Dale is one of the kingdom's mechanical specialists. You can tell it's Dale because of his red nose and two buck teeth. He is also easygoing and happy-go-lucky compared to Chip. Never too far from Chip's side, Dale has known Sora for as long as Chip has, being the beginning of the boy's first adventure. 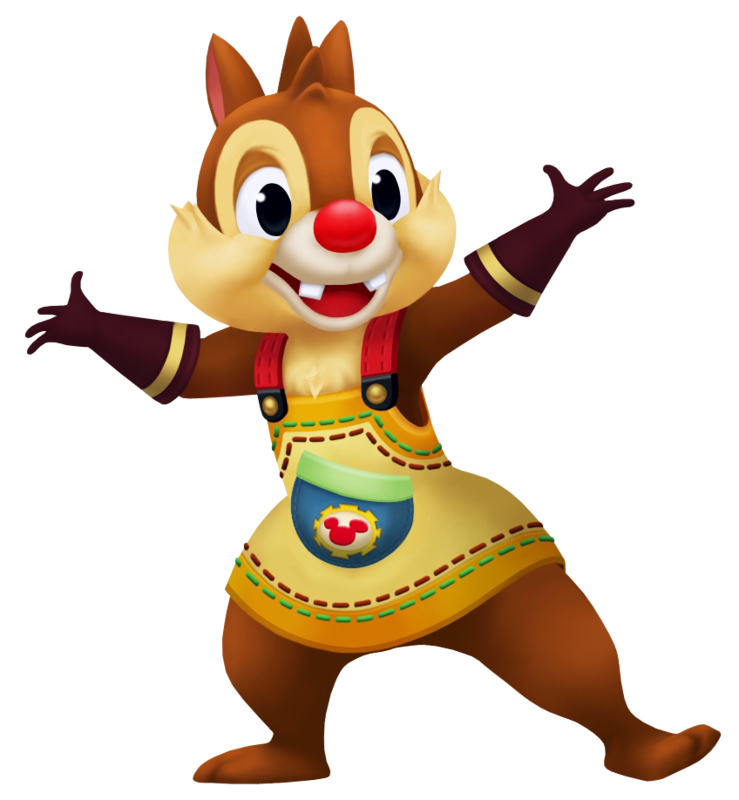 Much like Chip, Dale is a superb artisan when Gummi Ships are involved, and together with Chip, the two do their best to help both Sora, Donald and Goofy, as well as the castle they live in. He looks almost identical to his twin, Chip, yet is easily noticeable thanks to his red nose, even before one manages to notice his louder, more active nature. Buck toothed and red nosed, Dale is Disney Castle's Gummi Ship engineer, although his technical expertise provides him sufficient knowledge to handle computers. He is impulsive and happy-go-lucky as compared to his pal, Chip, but is capable of being serious and steady when the need arises. He monitors the computer overseeing events in the digital world from the real Disney Castle.